Garden windows – sometimes called greenhouse windows – are essentially glass boxes that protrude outward from a home’s outer wall. By creating a chamber that is surrounded on three sides by glass panes, garden windows provide a wonderfully sunny and well-ventilated spot to display flowers, herb gardens, or other potted plants. 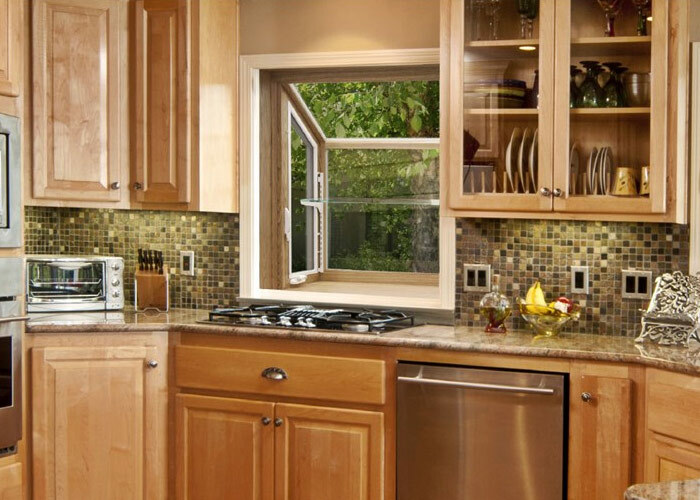 Most commonly seen above kitchen sinks, garden windows can also add much-needed shelf space to kitchens with limited storage and are a great way to add a creative, eye-catching architectural detail to your home. High-Performance Products. Highly Trained Technicians. Lightning Fast Installations. At West Shore Home, we are dedicated to providing our customers with the fastest, most efficient home improvement services in the industry. To ensure that our exacting standards are met with every job, we only rely on our highly trained team of company installers—never subcontractors. We’ve spent years perfecting our lightning-fast installation process to ensure that all jobs are completed in one day and that every window is installed correctly the first time. And to make your new garden windows as affordable as possible, we offer a number of convenient financing options to qualified homeowners.